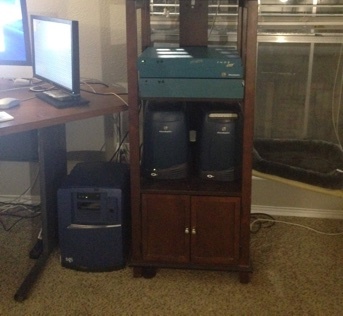 As part of the decentralized web movement, UUCP has been rebooted by Dataforge, a Fort Worth, Texas-based "hybrid shell provider/tilde server" whose proprietor Wesley "praetor" Banderia uses his decades of Unix systems administration to keep the system running on a cluster of lovingly maintained vintage SGI machines with a Google Cloud VPS for backup. Dataforge's UUCP is encrypted by default using ssh (you could also adapt it to run over TLS) with GPG signing for the content layer. Banderia is seeking other hosts to peer with his system (the system has four peers at present). From the UUCP manifesto: "We are a dedicated group of artists, system operators, nerds, geeks, nostalgics of every walk of life who desire a fully decentralized internet in the vein of the UUCP networks of yore. In this way, we have revived the network protocol adding modern essentials such encryption, permissions, better integration with dedicated links. While also keeping it's virtues of transparency, ease of implementation and resiliency. We also return to a place of mutual respect and understanding, freedom for all people who utilize it. Nobody 'owns' it. It's everybody's to use, tinker with, contribte to and have equal say and access to its content and resources without fear of reprisal, condemnation or censorship." Why doesn't this have a proper name? Following past traditions of UUCP networks, the network at large has no real name. A name implies ownership, and nobody owns the network. Individual site networks are free to have a proper name, but the larger network doesn't. Just as the Internet doesn't have a real name.